Do finals have you fried? 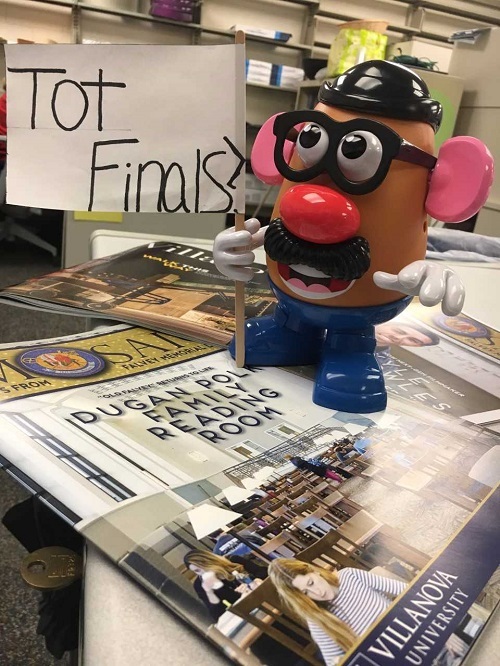 Join us Monday, Dec. 11th from 12-3 pm in our first floor lounge for a day of stress bustin’ fun featuring relaxing activities, good eats and last minute help from librarians. And yes, we will have a hot tater tot bar with all the fixings. Finals 2017: You TOT this!